Whether you just had a toothache develop or you have been combating a severe sensitivity to cold, you need to seek out professional dental care for your teeth. The pain will never just disappear on its own and you need to receive the appropriate procedure for that to happen. As the pain intensifies, you may just be ready to rip out your hair and call it quits. Before you do that, take a moment to look at the list of emergency dentists in Spokane below. You will find a variety of options available from the 24-hour emergency dental office to the after hours clinic that will see you late into the night. I was able to get an appointment the next day after I called Emergency Dentists USA who found a dentist close to me within minutes, it was so easy! While it would be nice for all dental offices to be open 24 hours, they are not, and many of them promptly close their doors at 5:00 pm and they are only open throughout the work week. Fortunately, there are other options available to you, so you do not have to deal with the pain on your own. There are after-hours clinics in Spokane that are open later into the evening to provide you with the care you need on the go. These offices are generally open until 7:30 pm like Comfort Dental, which gives you enough time to head there after work. In addition, many of these offices offer Saturday appointments as well such as Premier Dental of Spokane. Although there are no 24-hour clinics in Spokane, Comfort Dental is a great choice since they are open 12 hours a day, 6 days a week. At Emergency Dentists USA, we understand that tooth pain can be debilitating and that is why we have taken the time to create a list of Spokane emergency dentists. You can look at the list below and determine which office works best for you. When you are ready to call, make sure you schedule an appointment to receive immediate care. Description: Call to be connected with the perfect dentist for you. 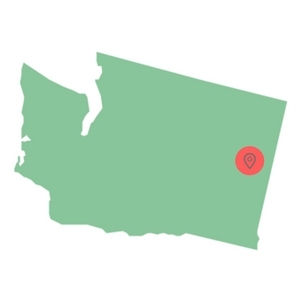 Spokane is a large city and we have the connections to find a dentist to fit your needs, and can get you an appointment immediately. You can get emergency dental help in Washington fast. Description: Comfort Dental is a clinic in Spokane that can help you and your family with periodic check-ups, emergency needs such as abscessed and aching teeth, and x-ray diagnostics. You can even get an appointment here on Saturdays from 7:30 AM until 7:30 PM, which is great for those who have incredibly busy schedules during the week. Description: Premiere Dental is Spokane’s clinic known for listening intently to every patient’s needs, providing very quick and stellar service, and having the knowledge to remedy any situation quickly. You may be needing urgent help such as the need for a root canal, or just a standard check-up to make sure that your dental health is alright: this is the staff that can handle it for you. Description: With an aim to prevent problems before they emerge, you may want to give this family-oriented clinic a close look as your regular dentist or your emergency dentist. It safe to say that with their range of services such as cosmetic treatments, restorative procedures, endodontics, emergency extractions, and implants, you won’t find any treatment gaps. Description: You can drop in on the folks at Summit Dentistry and schedule an appointment on Tuesdays later into the evening, as they are open until 7 PM. They provide great dental service for any age member of your family. You may need help with an abscess, continuously aching tooth, or need for x-ray therapy to make sure that stay healthy, then this is the clinic for you. One of the very first things you should do when in the office is to ask what payment methods are accepted and what the cost of the appointment is going to be. You want to know that you can not only afford the appointment but also make the payment. You should arrive in the office 15 minutes prior to your appointment to fill out paperwork. This paperwork will ask you general questions about your medical and dental history. If you have been to the chosen dentist before, you do not need to fill out new paperwork, but you will need to update what is on file if it has changed. If you have any allergies to medications, let the staff know immediately, so they can make sure you receive the proper care. In addition, if you suffer from dental anxiety, let the dentist know, so he or she can go over your sedation options with you. There are several types of dental emergencies that can arise and each one will differ in its symptoms, side effects, and how it impacts your life. For example, a knocked-out tooth will likely hurt more than some minor tooth decay. Many dental emergencies need to be handled immediately while some will allow you to play with the idea of getting it cared for now or later. Emergency dentists in Spokane are available to provide you with the care you need when you need it. A dental abscess is a serious dental emergency and needs to be handled ASAP to prevent further spreading of the infection. 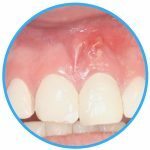 An abscess can appear at the root of the tooth or in between two teeth and looks like a pimple or small bump on the gum. You should never try to pop the abscess and avoid touching it. You can rinse your mouth out with warm saltwater and then apply a cold compress to the exterior of the cheek where the abscess is located to prevent swelling. If you have lost your filling, the first thing you should do is try to recover it. You can then rinse your mouth out with warm water. You should place a piece of sugar-free gum into the hole, but do make sure it is sugar-free or else you will cause yourself more pain than needed. If you are not comfortable with placing a piece of gum in the hole, you can use an over-the-counter dental cement. If your filling has been lost, it could be because the structure of the tooth has weakened or fractured and you should call a local emergency dentist in Spokane right away. An emergency toothache can be caused for several different reasons, but the most common is due to food stuck in the tooth or decay. If you have a piece of food stuck in your teeth, you should floss them to try to remove the particle. If the object becomes lodged further into the teeth or you cannot get it out, do not use a sharp object, as you may injure yourself further. If the pain is caused by decay, rinse your mouth out with warm salt water. You can take an over-the-counter pain reliever to help alleviate any pain you have. You should get in touch with your local Spokane emergency dentist to receive immediate care. If you have been told by your emergency dentist in Spokane that you need to have an extraction performed, you need to have it done within a reasonable amount of time. The longer you wait, the more likely it is that an infection or decay will spread to nearby teeth. The moment that you discover you may have a dental emergency can be scary and you may think that you need to go to the emergency room. This is not the correct place for you to go because the ER only handles medical emergencies and they will not be able to handle your dental problem. In fact, the only thing the physicians on staff will be able to do is to look at the tooth in question to ensure the situation is not severe and then prescribe you medication and tell you to follow up with your primary dentist. There are times when you should visit the ER, teeth involved or not. These times include when you have been involved in an accident, broken your jaw, or suffered a head injury. You would be better served at a Spokane emergency dental office. Here, the dentists can provide you with the care you need in a timely manner. Emergency dentists in Spokane have the tools and equipment needed on hand to perform any dental procedure at any time. 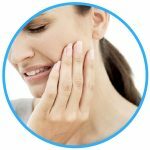 Tooth pain is not something that you want to play around with. It will leave you debilitated and it will cause you to miss out on some of your favorite activities. If you are in pain, you need to seek out care from a Spokane emergency dentist immediately. By calling our 100% free referral service, you’ll be connected to an emergency dentist within minutes! It is recommended that you check out the local Spokane dental society to confirm any licenses and certifications of any new dentist you plan to visit. You can also check the Washington State Department of Health. Most dental providers will display their credentials in a visible place within the office. If you do not see their licenses or degrees, inquire with the front office staff. You may also check the American Dental Association website. Emergency Dentists USA is a portal that was designed to provide you with dental information and should only be used for that purpose. The information on this site should not be used to replace advice from a medical professional. If you have a dental emergency and cannot get ahold of an emergency dentist, call 911 immediately.